Last week we published a video showing you the benefits of Wakanda Pro Connector. Now, we go a little deeper to better explain these connectors to you. If you’re already familiar with Wakanda’s built-in database, you know that you can expect the same straightforward experience using MySQL! When you connect to the MySQL database using our API, the MySQL model connects itself automatically to Wakanda’s model. Thanks to an abstraction layer, you can view your MySQL structure (tables, fields, and relations) in Wakanda’s Data Model Editor. Even though this connection between the two models is quite simple, we are working on a wizard that will make it even easier for you. 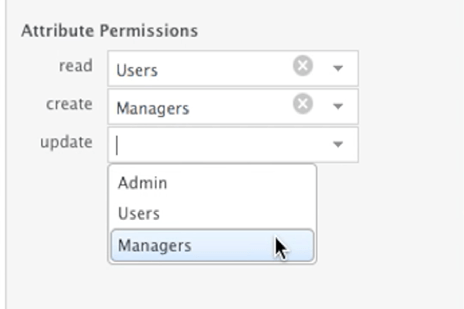 You can secure your data by specifying permissions at every level using the model, dataclass, or attribute panels in Wakanda Studio. It’s so easy that you have no excuse for not securing your data. Unfortunately quite often when working with MySQL you won’t find a relation set. No big deal, as we allow new relations declared between your MySQL tables. With Wakanda, you have full control of your back-end without having a DBA intervene! By creating functional relations in Wakanda, you considerably accelerate your development process while setting constraints and improving the integrity of your data. Methods that are automatically exposed to the front-end. A new solution is now available for all your MySQL applications at no cost. With everything you’ve developed at the Model level, Wakanda provides you with an automatic and native REST API to interact with the front-end. Angular or Ionic when coding the front-end of your Web or mobile app. In addition to this blog post, we prepared a quick video overview of a real use case to illustrate the benefits of using the Wakanda Pro Connector. In this video, we discuss a hotel chain that is developing a multi-channel eBooking system with Wakanda and how they need to also plug it into their legacy MySQL customer database. Reap the benefits of using a native REST API. Check out our video of this real use case for yourself! Do you want to try it out for yourself? The MySQL Connector Pro is already available in the Enterprise Edition of Wakanda Digital App Factory. You can download it at www.wakanda.io. For more information about the MySQL Connector Pro, read about it in the Wakanda Documentation. If you have any feedback for us or want to ask us a question, you can do so by contacting us directly.